Just as we have a right to do as we please with other property that we may own. In the context of a closely held business, however, that presumption often is wrong. the majority members of a closely held business take an action that is out of the ordinary, it should be sensitive — some might say wary — of the effect that the action could have on the minority members. In the context of a closely held business, however, that presumption often is wrong. the majority members of a closely held business take an action that is out of the ordinary, it should be sensitive — some might say wary — of the effect that the action could have on the minority members. The transaction may not be subject to the business judgment rule, which lends a presumption of finality to most business decisions. Instead, the majority may be obligated to demonstrate why the transaction was substantively fair to the majority, not why it was procedurally appropriate. Corporate statutes and case law are the source of relatively well-developed case law concerning the majority’s obligation to protect the interests of the minority. Even the current widespread trend to limit rights created by statute in favor of rights that are based in contract do not clearly absolve the majority of an an obligation to assure the substantive fairness of the transaction to the minority. Whatever the form of the business — be it corporation, limited liability company or partnership — a transaction approved by the majority that affects the rights of the minority could be considered a form of self dealing to which the business judgment rule is not applicable. The question of whether the majority’s right to pursue its own interests will have two key points to consider. First, is there a reason to impose any fiduciary duties on the majority? Second, if there is some fiduciary duty, will the court defer to the business judgment of the majority or apply some other standard such as examining the fairness of the transaction that has been proposed. Some decisions involving extraordinary actions approved by the majority demonstrate this first principle. As a general rule, shareholders in a corporation — as well as members in a manager managed limited liability company — owe no fiduciary duties to the company or each other. They are free to pursue their own self interests with regard to their equity. The distinction between equity owner and fiduciary undergoes a change, however, when the equity owners are substituting their action for the board of directors. In that case, which occurs frequently in closely held companies. The courts will impose duties of loyalty, care and disclosure on the majority, duties that traditionally provide the standard of conduct for a corporate board of directors or managers of an LLC. Grato v. Grato, 272 N.J. Super. 140, 639 A.D.2d 390 (App. Div. 1994) (full text of opinion here) illustrates how the issue may present itself. Here the majority of a family owned business voted to dissolve the corporation. The members of the majority then continued in the same line of business with a new entity. No action relevant action of the board was involved, still the Court held that under the circumstances there was a breach of fiduciary duty. The appeals court pointed out that it was not trying to articulate a blanket rule, but it held that the actions of the majority contrary to the interests of the minority were a form of freeze-out and were outside the scope of the business judgment rule. And those considerations, the Court held, are “broader than those espouses in defendant’s version of the ‘business judgment rule”. While the relevant corporate statute allowed dissolution on a vote of the majority shareholders, the action was improper when it’s purpose was to misappropriate the business for the majority. Given that the purpose of the dissolution was to freeze the majority out of the continuation of enterprise as a new business, close scrutiny was required, and the court had little difficulty finding a breach of fiduciary duty. A well-known California Supreme Court case, Jones v. H. F. Ahmanson & Co., 81 Cal.Rptr. 592, 1 Cal.3d 93, 460 P.2d 464 (Cal., 1969), case considers the issue in the context of a conversion from a Savings and Loan Association (owned by depositors) to a publicly held commercial bank. While not the most closely held corporation, the case does illustrate the principle that majority shareholders that make a better deal for themselves that the majority will likely be in breach of their fiduciary duties. The bank had issued a limited number of shares, but given the high book value and lack of information there was little market for the shares. A vehicle was created in which a holding company was created and the shares of savings and loan shares were converted into a block of derived shares that were publicly traded. Because the majority had control of the savings and loan, the holding company also had control of the bank. The transaction allowed for the majority to convert shares into cash, but was not offered to all of the shareholders. The minority shareholders sued. The majority’s first line of defense was that as shareholders they owned no duty to the minority. The Court rejected that argument. “Majority shareholders may not use their power to control corporate activities to benefit themselves alone or in a manner detrimental to the minority. Any use to which they put the corporation or their power to control the corporation must benefit all shareholders proportionately and must not conflict with the proper conduct of the corporation’s business.” 9 Cal. Rptr. 204. 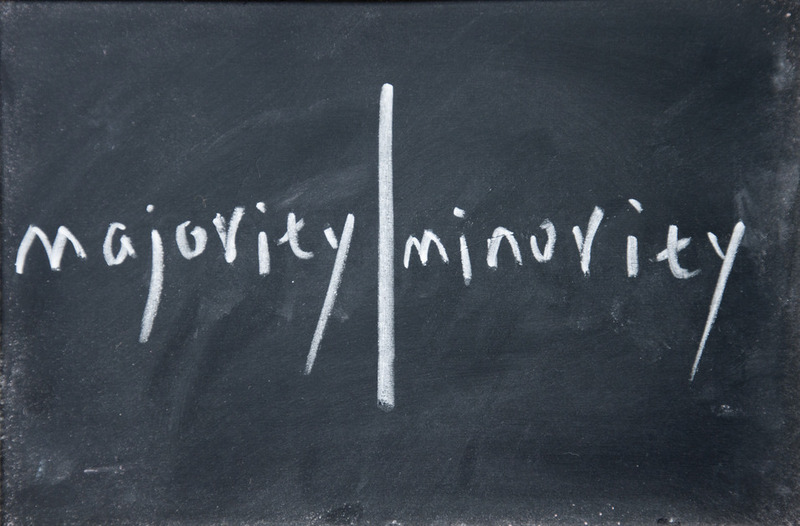 The majority had breached that duty to treat the minority fairly. These two cases involve corporations, but the same issues can arise in the context of a limited liability company or a partnership. The Revised Uniform Limited Liability Company Act (RULLCA) now expressly provides a remedy for an oppressed minority. A member may seek judicial dissolution if the managers or those members in control of the company have aced in a manner that that is illegal, fraudulent or that is oppressive and “directly harmful” to the company. See § 701 RULLCA. In New Jersey, the RULLCA has been modified with a provision that expressly permits the court to order the compelled purchase and sale of a minority by the company or another member. See N.J.S.A. 42:2C-48(b). The RULLCA and the Revised Uniform Partnership Act (“RUPA”) both contain provisions that provide that there is no breach of fiduciary duty solely because a member (or partner) pursues their own self interest. Moreover, members in a manager-managed limited liability company have no fiduciary duties. Both of these uniform acts have attempted to draw fiduciary duties of partner and llc members and/or managers in a well-defined and limited manner, but subject to a relatively broad right to modify these duties by agreement as well as express obligations of good faith and fair dealing. The other main sources or partnership law failed to give precise definitions of the fiduciary duties arising in a partnership or limited liability company, leaving them to definition by common law or agreement of the parties. (We will leave the issue of fiduciary duties in limited partnerships for another day). As general partnerships fade into misuse and corporations cease to be the business entity of choice for the closely held business, the courts will no doubt put further contours on the question of the majority’s obligation within the context of the limited liability companies and partnerships. And finally, is the outcome of the transaction one in which the majority can be said to be self-interested because they derive some benefit outside the ordinary conduct of the business. In these types of cases, the business judgment rule is much less likely to apply. 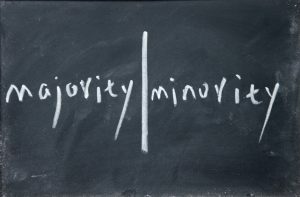 The minority should demand — and the majority should be prepared to provide — that the transaction is fundamentally fair to majority and minority alike. When it is not, the Courts are likely to step in.